۳) در حالی که خود را خم کرده تعادل خود را حفظ کنید و هالتر را به سمت سینه بکشید . ۴٫) چند لحظه مکث کنید تا تنش را در عضلات پشتی خود حس کنید و سپس به نقطه شروع بازگردید . 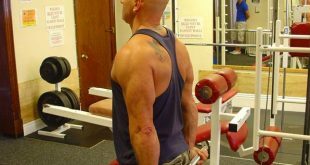 ۵) برای تکرارهای خواسته شده تمرین را ادامه دهید . 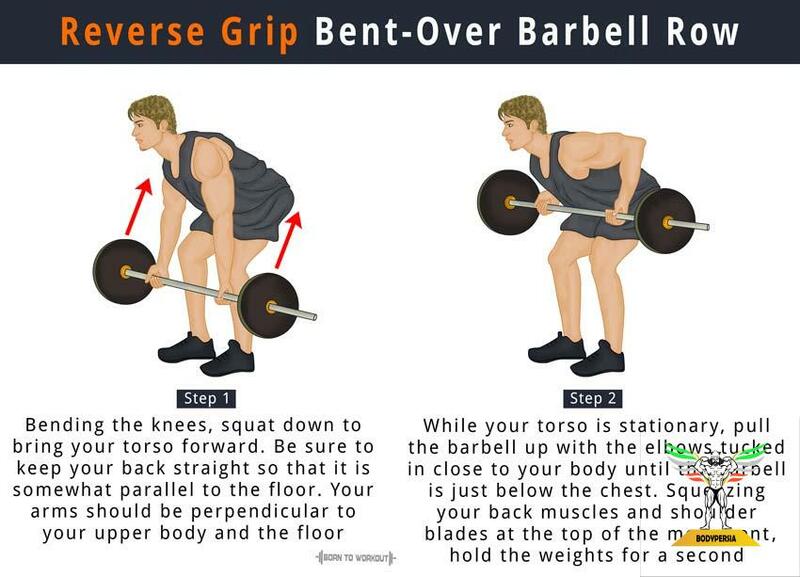 The Barbell Reverse Grip Bent Over Row is an excellent exercise for developing overall back strength. ۱٫) Start off by keeping your knees slightly bent and your back straight. 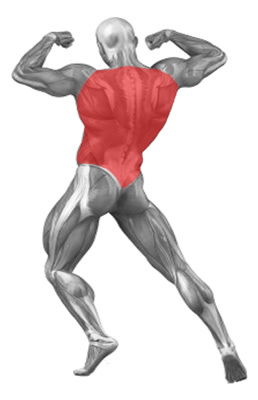 ۲٫) Grab the barbell with a reverse (underhand) grip and pick up the barbell so it is at around shin level. ۳٫) While keeping yourself bent and balanced, slowly pull the barbell up to your abs, and keeping your elbows tucked in at your sides. ۴٫) Once you have reached the top of the exercise, hold for a count, squeezing your back and return back to the starting position. ۵٫) Repeat for as many reps and sets as desired. ۱٫) It is important to keep your back straight when you perform this exercise and if your back starts to round out, bend your knees slightly to keep it straight.